What’s better than sipping on some Mai Tai’s at a beach side bar in Puerto Rico, while staring into the deep abyss of the ocean? – Looking great while doing it! It’s time to swim, surf and cool your way through this summer heat in absolute luxury, with some fabulous beach wear from our latest collections. Here are a few things to keep in mind while prepping for your dream vacay. A tranquil day at the beach requires a state of mind that can only be achieved by dressing down and letting loose. Wear this flowy embroidered outfit as a cover-up by the sea that can also double down as an evening dress for cocktails by the pool. You’re going to the beach to relax, so worrying about what to wear and any sort of wardrobe mishaps is counter-productive. However, you can still notch up your style quotient without compromising on your fun day in the sun. 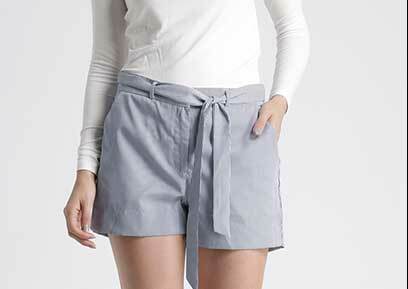 Pair these cute shorts with a bikini top and flip-flops and tan your troubles away. It’s extremely important to shield your skin from the harmful rays of the sun so lather yourself in sun block before you hit the beach. What you also need is a fabulous oversized straw hat for when you need to cut off from everyone around you and just bask in the sun. There are several ways you can accessorise at the beach. If you have sensitive skin, wrap yourself in a cotton scarf to keep cool and stay covered. 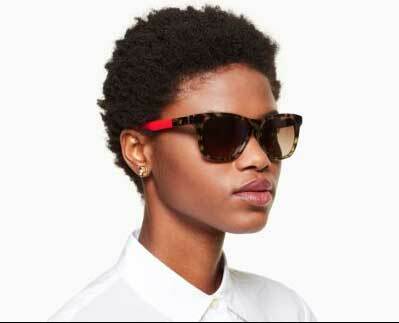 Dorn a pair of these retro inspired sun glasses from Kate Spade for a colourful adventure. You can pair them with these cute ‘pineapple by the beach’ mini-studs to get that perfect summer vibe on point. Pick a swimsuit that best suits your body shape and size. There’s nothing better than a colourful cute two-piece for a day in the sand. To add some boho chic style cred to your outfit, opt for this bikini from Shoppers Stop with its colour block pattern that literally screams summer. You’re finally ready to hit the waves. 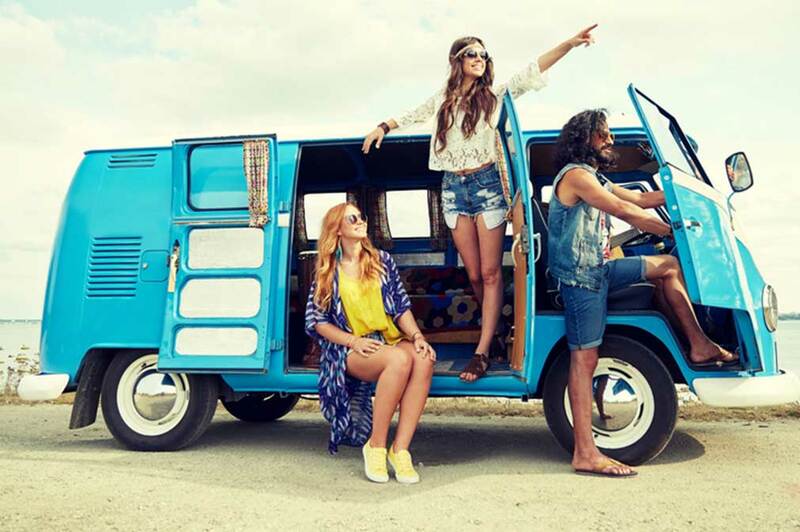 Drop by Palladium Chennai to stock up on your beach essentials, and make stylish summer memories that last a life time.